We’re happy to announce the addition of another broker to our AutoTrade offering – AxiTrader! AxiTrader is an STP broker with tight spreads. 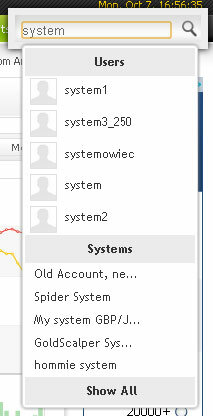 To open a live AutoTrade account with AxiTrader, please click the above logo or click here. We founded AxiTrader on a simple principle: to create a Forex broker that we’d love to trade with ourselves. As we’re founded by traders, we understand you want a great 24-hour service, tight spreads and fast STP execution with minimal slippage. So that’s what we deliver. Whatever your experience, we’ve got you covered. We assist traders using Forex as an asset class to fulfill part of their trading portfolio. At AxiTrader, our focus is always on integrity, service and execution. We strive harder to be the best – it’s what separates us from our competition and makes us one of Australia’s largest Forex Brokers. With more than 80 staff in four countries speaking ten languages and offering 24 hour trade support, we are focused on our vision to be the world’s leading provider of online foreign exchange trading services. AxiTrader is the business name registered and owned by AxiCorp Financial Services Pty Ltd (ABN 85 127 606 348). We’re pleased to announce the integration of ThinkForex with AutoTrade. ThinkForex is a NDD broker with Top-Tier Liquidity and is another great addition to our AutoTrade offering. To open a live account with ThinkForex click the above or click here. Posted in Myfxbook Updates | Comments Off on AutoTrade With ThinkForex! Winners, you’ll be contacted by Excel Markets to claim your prizes. – 26% of accounts didn’t open a single trade. Out of the remaining 74%, only 9% of accounts were profitable while 65% lost money. – The 1st place ended way ahead of the competitors. – Winning accounts had 5 times a larger average win (16 pips) versus the losing accounts (3 pips) yet also a 7 times larger average loss (-21 pips) vs the losing accounts (only -3 pips). We’re excited to announce the addition of a new broker to AutoTrade – IamFX. IamFX is another great addition to Myfxbook AutoTrade offering as it is a STP/DMA broker. To open a live account with IamFX, please click here or the above logo. IamFX is the leader in true STP execution with Direct Market Access providing online trading and services to retail and institutional clientele. It’s advanced generation engine connects a global network of liquidity providers including worlds major banks to create one of the deepest sources of liquidity in the industry and to generate tight spreads. Hosting all technologies in Equinix data network further guarantees the lowest latency and the best execution. IamFX’s clientele benefits from strong products and quality services and IamFX’s renowned partner programs and the most advanced technological offering is making it the ideal choice not only for retails clients, but also for Introducing Brokers, Money Managers and White Labels. Posted in Myfxbook Updates | Comments Off on AutoTrade With IamFX! We’re excited to announce the addition of another broker to our AutoTrade offering (again, due to your requests ) – Armada Markets! Armada Markets provides currency trading services to retail and corporate clients in more than 100 countries around the world and is the top choice among professional traders who demand institutional grade FX liquidity and low-latency execution together with the lowest spreads and commissions. Armada Markets is also one of the leading liquidity providers to small and medium-sized brokers and institutional clients through FIX API and binary protocol. AutoTrade Slippage Metrics And An Auto-Complete Search! Open Slippage – The slippage between your entry price and the provider’s. Close Slippage – The slippage between your exit price and the provider’s. Total Slippage – The total slippage of the open and close. Positive slippage (in your favor) is marked in green while negative slippage (not in your favor) is marked in red. 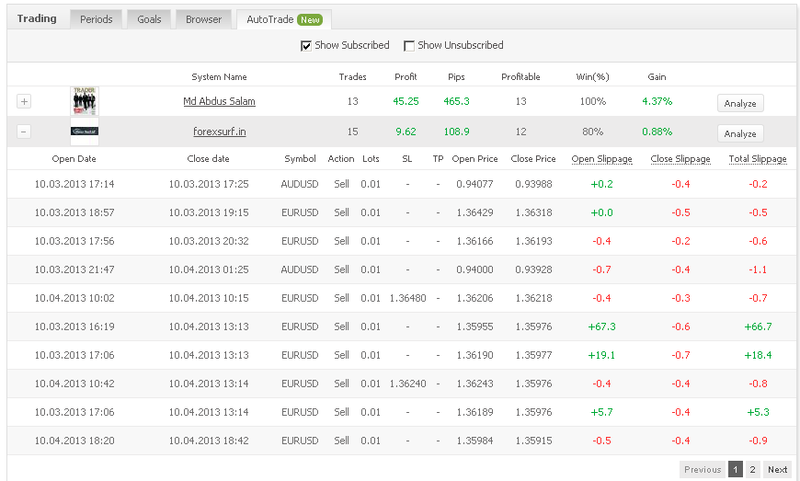 These metrics are available only with live AutoTrade accounts since demo accounts do not experience any slippage. Clicking on the ‘Show All’ link will revert back to the complete search. Important to note you can navigate the search results with your keyboard up/down buttons. You are currently browsing the The Myfxbook Blog blog archives for October, 2013.